Increasing evidence suggests that the function of the GABAergic system is abnormally low in autism spectrum disorder (ASD). Baclofen, which functions as a selective agonist for GABAB receptors, does appear promising for the treatment of ASD. We conducted a 10-week randomized-controlled study aimed at evaluating the potential of baclofen as an adjuvant therapy to enhance the effect of risperidone in children with ASD. Sixty-four children (3–12 years) with moderate-to-severe irritability symptoms of ASD were included. We used the Aberrant Behavior Checklist-Community Edition (ABC-C) for the outcome measures on each of the follow-up visits (weeks 0, 5, and 10). Analysis of the combined data revealed significant improvement for all the ABC subscales (irritability: F = 51.644, df = 1.66, p < 0.001, lethargy: F = 39.734, df = 1.38, p < 0.001, stereotypic behavior: F = 25.495, df = 1.56, p < 0.001, hyperactivity: F = 54.135, df = 1.35, p < 0.001, and inappropriate speech: F = 19.277, df = 1.47, p = 0.004). Combined treatment with baclofen and risperidone exerted a greater effect on improvement of hyperactivity symptoms at both midpoint [Cohen’s d, 95% confidence interval (CI) = − 3.14, − 5.56 to − 0.72] and endpoint (d, 95% CI = − 4.45, − 8.74 to − 0.16) when compared with treatment with placebo plus risperidone. The two treatments achieved comparable results for other outcome measures. 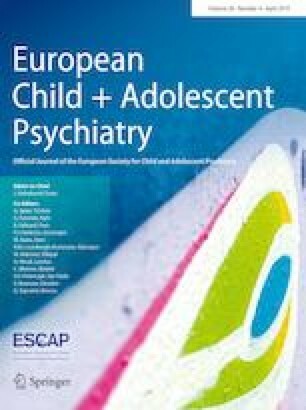 Our data support safety and efficacy of baclofen as an adjuvant to risperidone for improvement of hyperactivity symptoms in children with ASD. Seyedeh-Mahsa Mahdavinasab, Amene Saghazadeh, and Nogol Motamedi have contributed equally in this study. This study was funded by Tehran University of Medical Sciences and Health Services (Grant number: 32601). This study was supported by a grant from Tehran University of Medical Sciences to Prof. Shahin Akhondzadeh (Grant No: 32601).